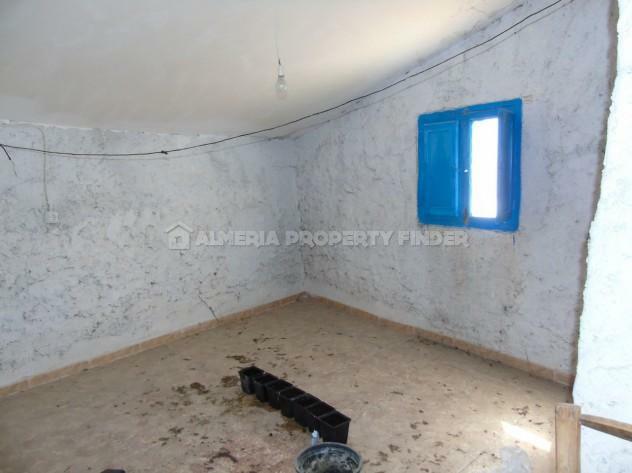 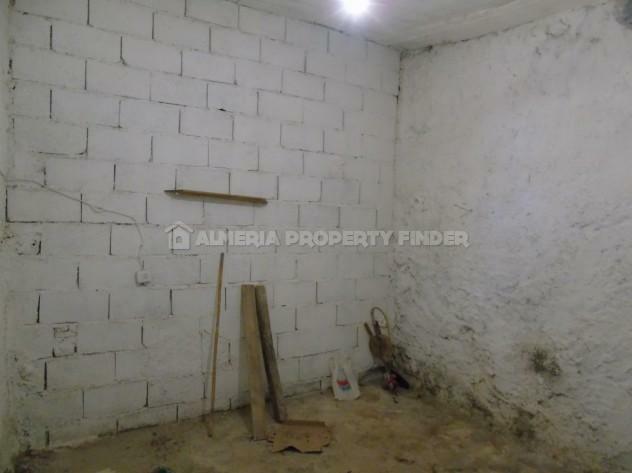 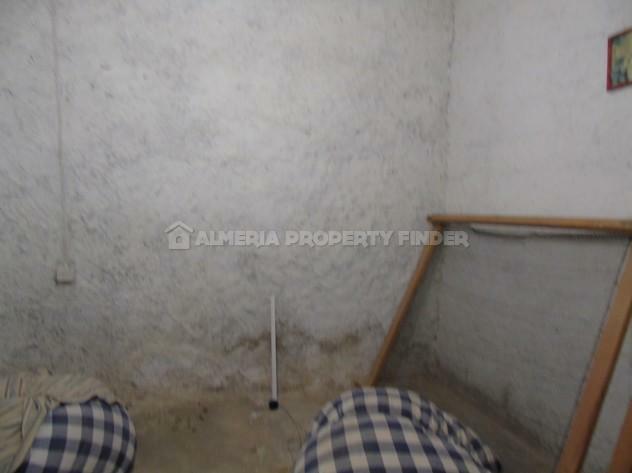 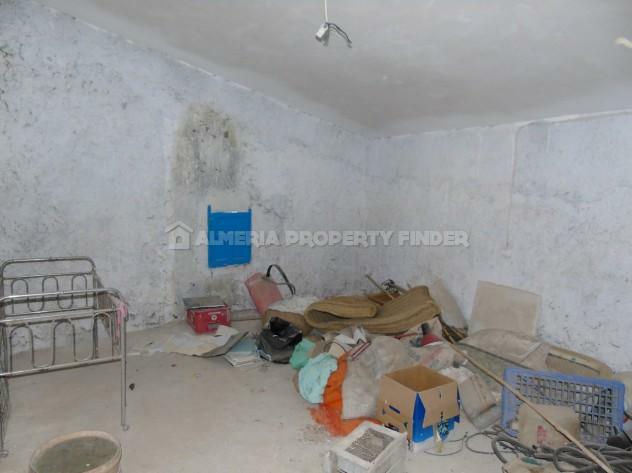 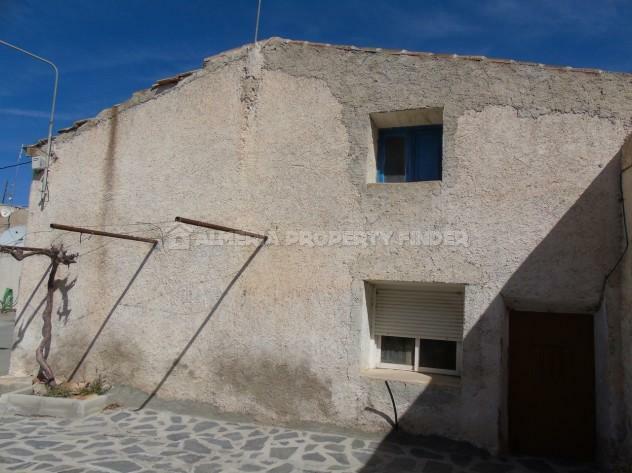 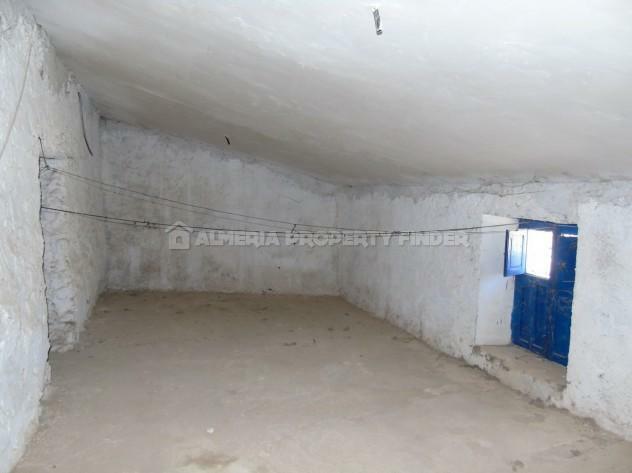 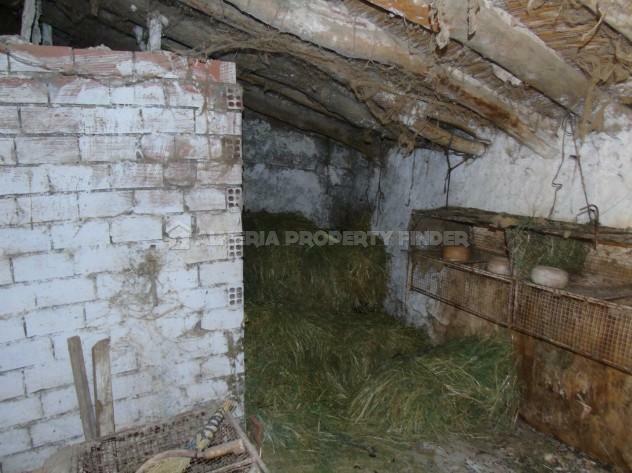 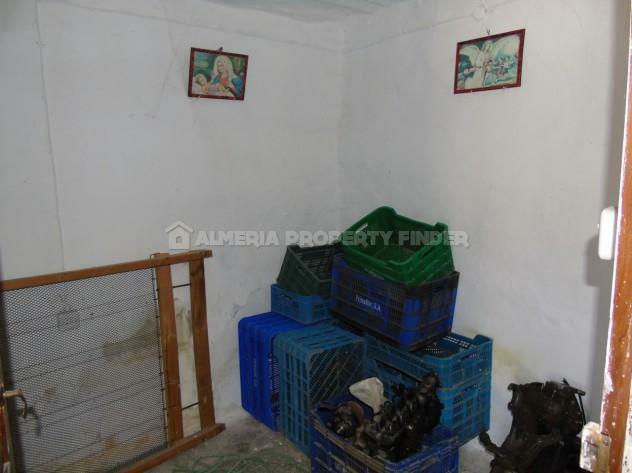 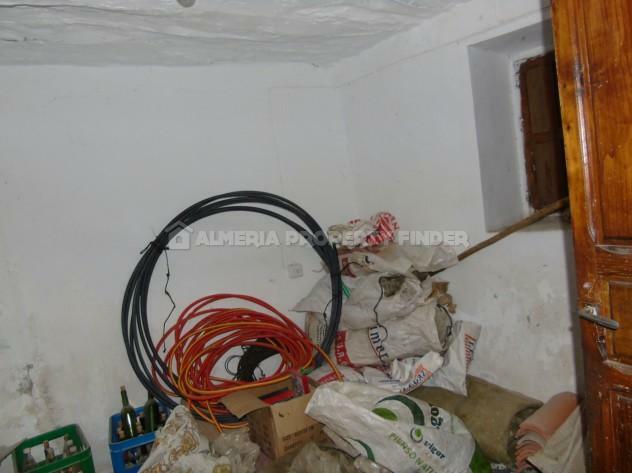 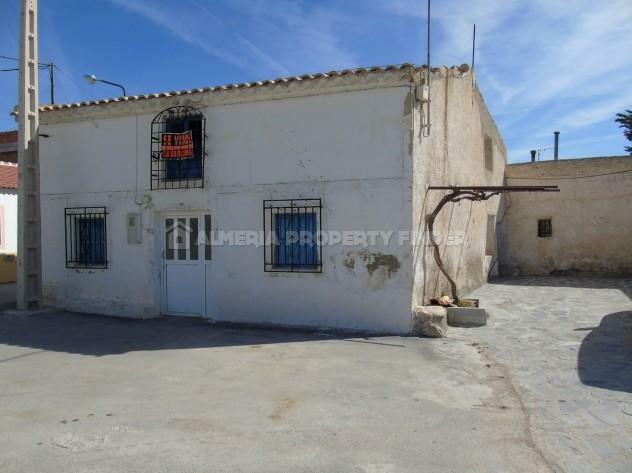 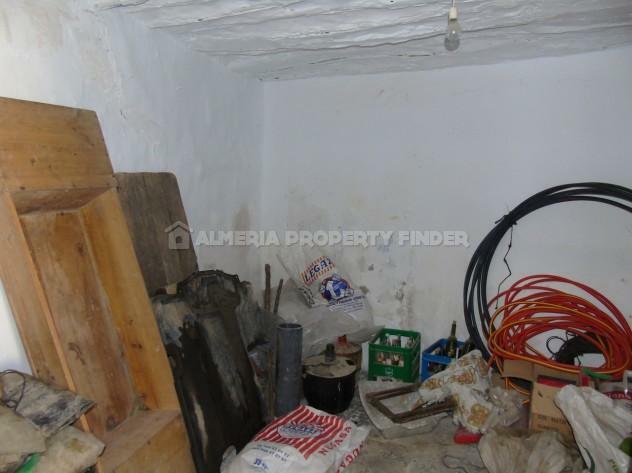 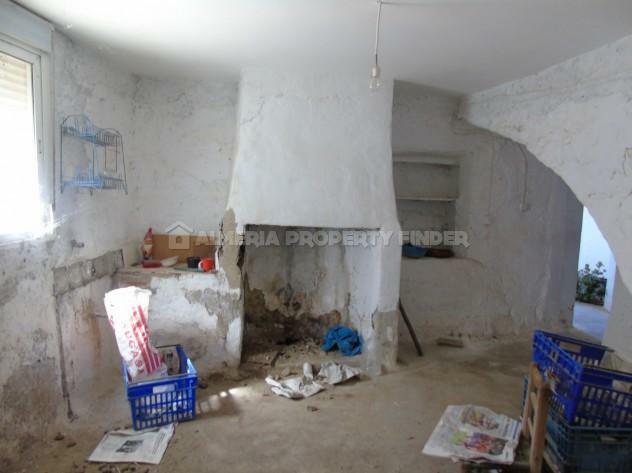 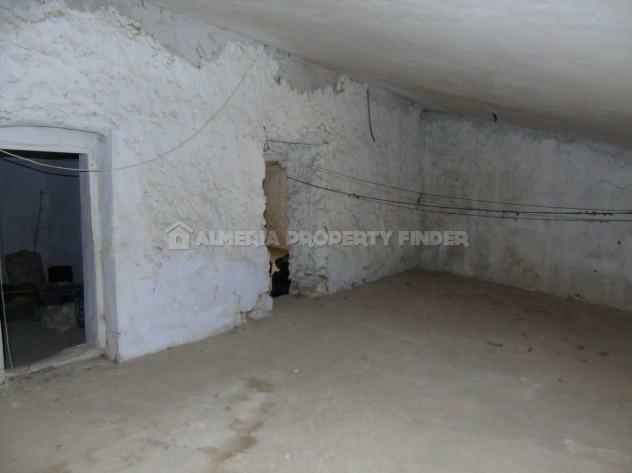 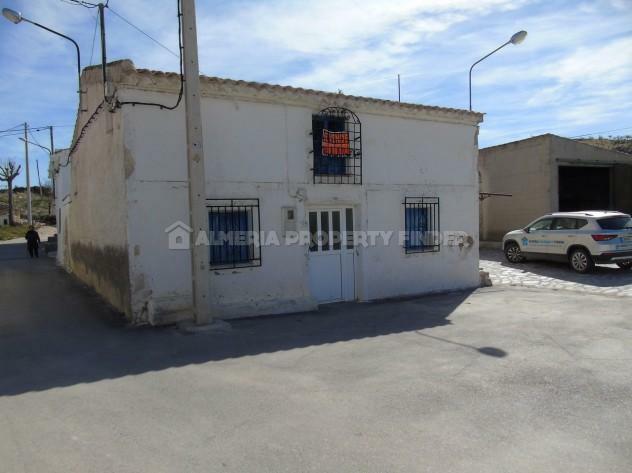 Traditional 3+ bedroom village house for complete renovation, situated in the tranquil rural village of El Margen, around 10km from the town of Oria which offers all amenities. 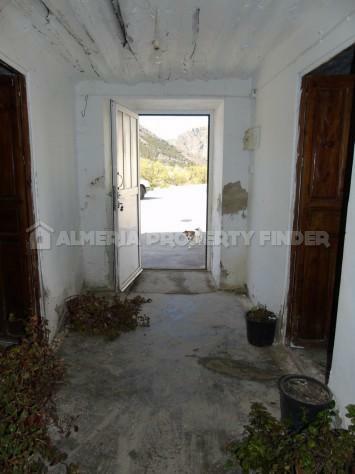 The front door opens into an entrance hall with a small double bedroom to the left, and another double bedroom to the right. 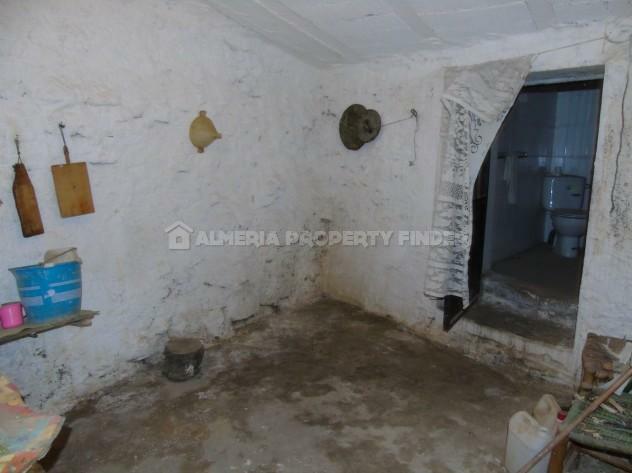 An archway leads into a room with traditional fireplace and beams, previously used as a rustic kitchen. 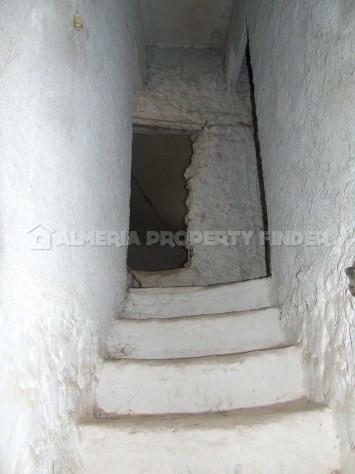 From here a door leads into a third bedroom with a high ceiling and new roof. 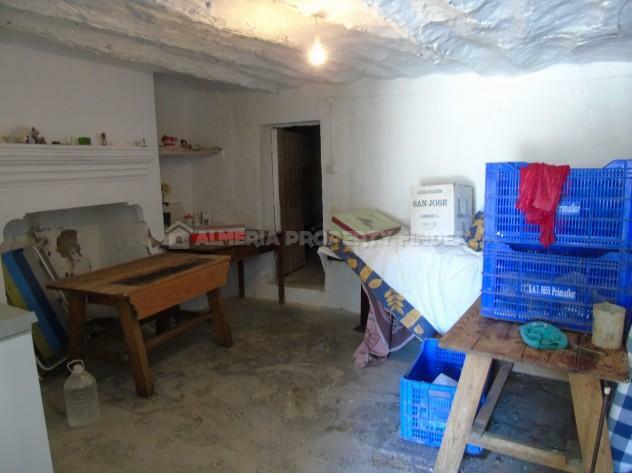 Also off the kitchen is a large room with a fireplace and door leading out to a side patio. 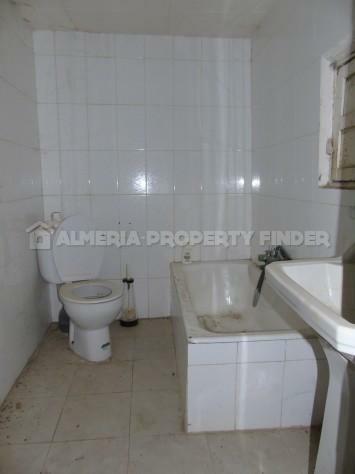 There are two further rooms on the ground floor, along with a small bathroom comprising bath, WC and pedestal basin. 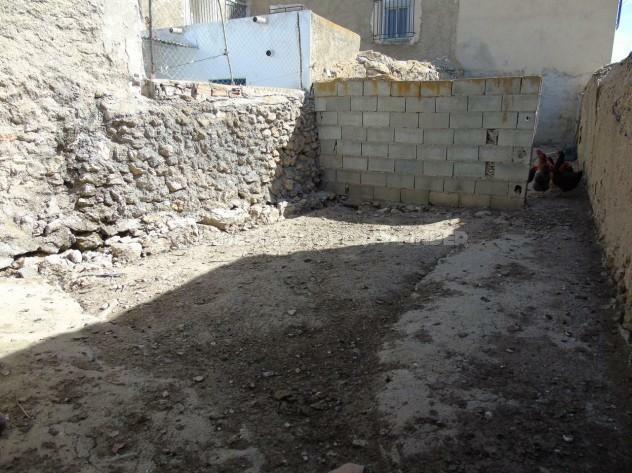 The first floor has a new roof and comprises 3 rooms for renovation. 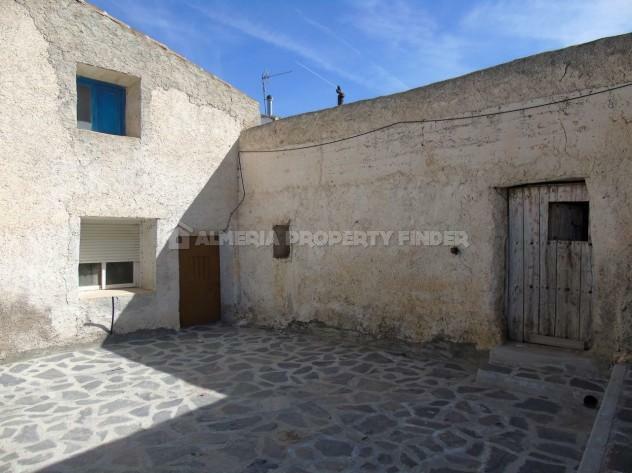 To the side of the house is a patio area and an animal pen with access to a walled garden.